This is one of my insecurities. Is there a magic pill or a facial exercise I can do to lessen the severity of this? Makeup can only do so much for these things. Get a good night's rest and use some eye cream. I use a Korean cucumber eye gel that I gently dab under my eyes before bed and sometimes in the morning. I guess you may want to look into an under eye cream that would tighten the undereye to reduce the appearance of dark under eyes. I've yet to find one myself. Thanks everyone! I know partially my dark undereyes are hereditary, but a lot of it has to so with sleep too. I just bought a Shisheido eye cream so hooe it helps a little. Dark under eyes not the same as puffy eyes. With that, I used anti itch cream. Works magical after an all nighter studying for finals n wanting to look fresh for next day work or date. I used to have dark under eyes. I believe it was due to me not eating healthy. Since I've been eating healthier foods the darkness has gone away. I do need to eat better. Not really but there is something call "tear trough filler" you can look into. 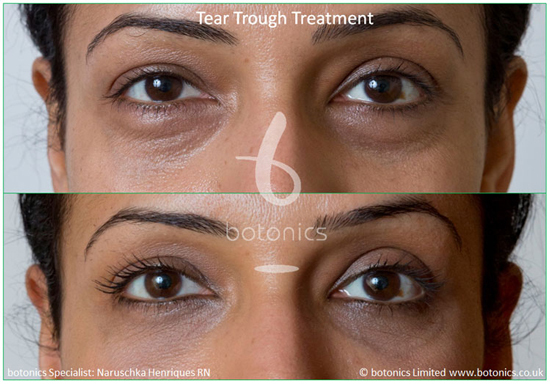 The treatment eliminates dark circles and hollows that comes naturally with age. Those results look good, but I'm not for permanent foreign substance inside my body.